From whale watching to natural geothermic hot spring spas, Iceland has been acclaimed as a unique and amazing vacation destination. Whether you’re travelling alone, in a group, or for a special occasion, there’s something for everyone to enjoy on Iceland. In a place where you are guaranteed to have so many wonderful memories, it’s a good idea to plan ahead to make sure you make it to all the top sites and get photographs to remember your trip. Traveling is always a special experience; it’s a time to get away from the rigors of daily life and enjoy something new and different. 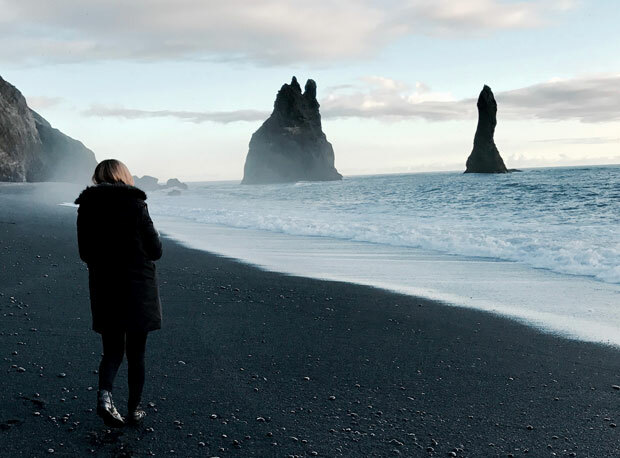 Iceland is the perfect place to any occasion, whether you’re abroad for a family reunion, a planned proposal, or having a bonding experience with friends. When traveling to Iceland, here are some ideas for top sites to visit to make the most out of your trip and get some great photographs that capture the unique charm and character of the country. 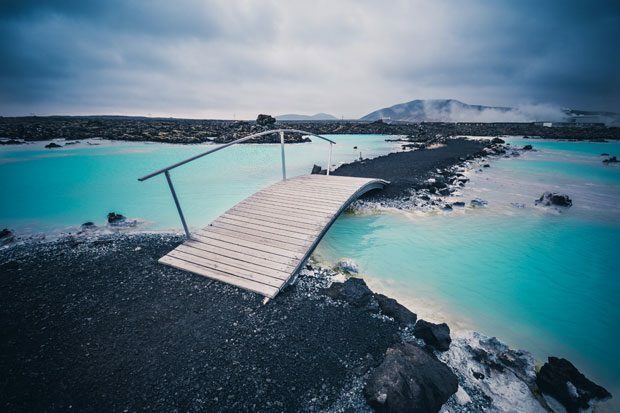 Not far from the capital city of Reykjavík is the wonderous Blue Lagoon, a geothermally heated natural spa area. The mineral rich, warm waters attract tourists from around the world, both for the bathing experience and the amazing surroundings. With steam gently rising from the turquoise waters and mountains in the distance, the Blue Lagoon is by all accounts an amazing place to visit and an excellent place for a photo shoot while you are on vacation. 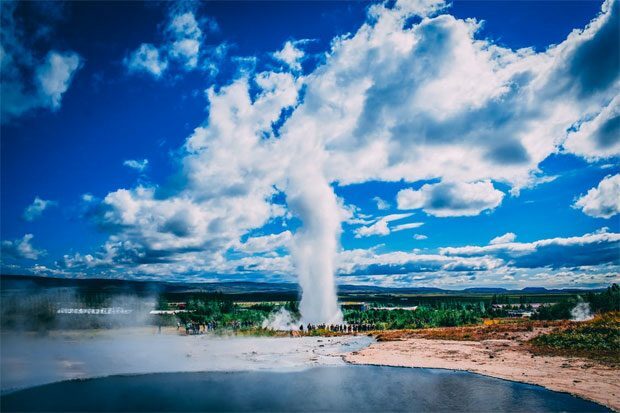 As a volcanic island, Iceland also has numerous spectacular geysers, including the famous Strokkur Geysir from which all other geysers got their name. With 30-meter-high jets of water, Strokkur Geysir is a spectacular sight, and a perfect photo opportunity for your trip. Whether you want to pose in front of the geyser with your friends or take a special anniversary shot with the spectacular spray in the background, it’s a once-in-a-lifetime shot that our photographers will help make sure is successful. 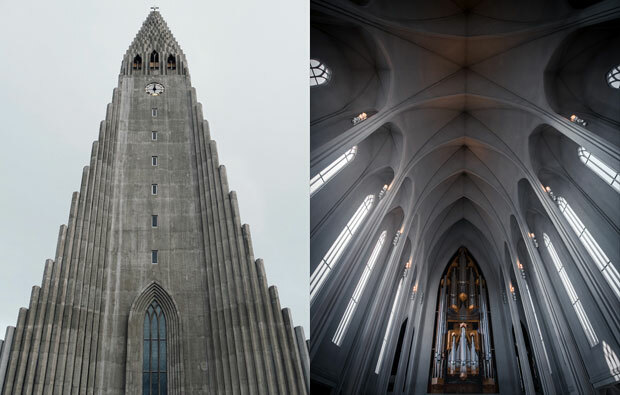 The capital city of Reykjavík has numerous iconic landmarks and historic sites, and one of the most impressive of these is the Hallgrímskirkja church. The tallest building in the country, this impressive edifice makes for a dramatic background for any photograph and also provides a classic image unique to Iceland. For a bird’s eye view of the city, you can climb up to the top of the tower at 73-meters and gaze out on the buildings below. 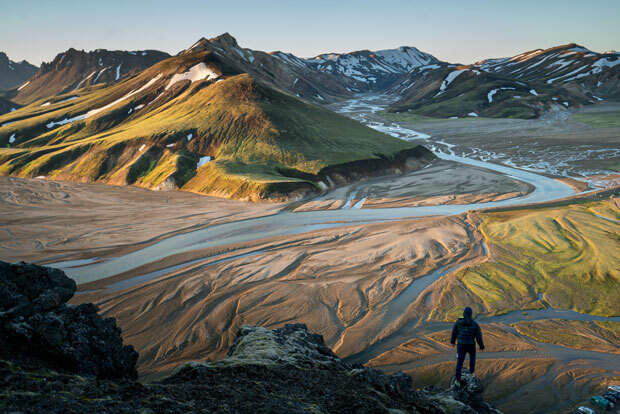 Iceland is known for its stunning natural scenery, and one of the best places to experience the raw and untouched beauty of the country is in Landmannalaugar National Park. From hiking to horse back riding, it’s a stunning way to experience the mountains, volcanoes, and lava fields for which the country is famous for. It’s only open during some of the year since in the winter the roads become impossible to traverse, so make sure you plan ahead to be able to include this site in your vacation and photo shoot in Iceland. You won’t have to settle for second best in anything, including vacation pictures, when you come to Iceland. It could be a good idea to have a professional local photographer in Iceland at your side, so regardless of the occasion you will be able to experience the magic and beauty of Iceland with the certainty that the best parts are all captured on camera for everlasting memories. Author: This article was provided by Michal Šimrák from Localgrapher.com.